We provide the full range of building services and we can serve as your one stop shop throughout the building extension or renovation process making it a smooth and simple process from conception to completion. In addition to construction aspect, we employ the range of trades available including electrical, plastering and rendering, plumbing and heating installation, painting and decorating. We can even provide you with the kitchen or bathroom of your dreams as part of the process. Our extensive experience of building extensions enables us to provide a wide range of solutions when building or designing your new home extension. 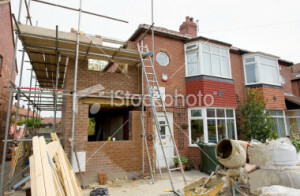 Care in the early stages of planning your new home extension is essential. Good planning will save you time, money and headaches later on. We offer a design service, ensuring you make the best use of the space you have and meet Building Control Regulations. You can also be assured that the quality of all the materials equipment and accessories, we provide will be of the very highest standard. When you have read and considered the guidance around whether or not you need planning permission or building control approval you can find out ‘What to do next’.